Unknown persons have allegedly killed a herdsman in a village in Ekiti state. The herdsman identified as Babuba Denji was reported killed on Monday by suspected Benue State indigenes in Ekiti, sparking tensions in the Oke Ako and Irele communities in Ikole LGAs of the state. According to The Nation, the incident caused Governor Ayodele Fayose to summon a security meeting with farmers and herdsmen in attendance on Tuesday night, warning them to avoid turning the state into a “war zone”. The governor also ordered security agencies in the state to bring the killers of the herdsman to justice, saying he would not fold his arms and allow lawlessness to reign in the state. 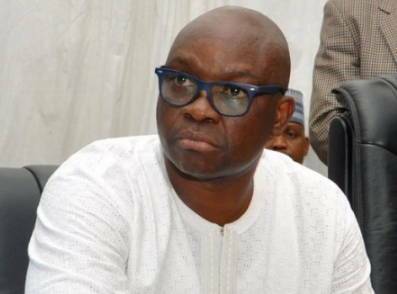 Fayose, who conveyed the meeting at the Government House, said, said recent steps taken by his administration to prevent violence between farmers and herdsmen do not give anybody license to unlawfully take human life.